Duterte said, using the local term for crystal meth, the country’s most-used illegal drug. 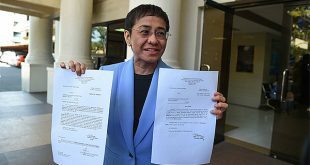 Duterte, who has previously boasted about keeping multiple mistresses, also sought to discredit Church leaders by accusing them of violating their own vows of celibacy. “We’re the same, with two, three wives. 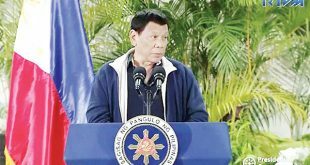 Don’t get me started — all the hypocrisy,” said Duterte, 71. 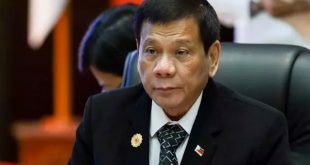 Duterte also accused the country’s Church leaders of plotting to “suppress” the public exhibition of an unspecified film that he said tackled the subject of “homosexuality of priests”. “I’m telling them, ‘Why stop it? When you expose the frailties of your faithful, you are free to shout in the pulpit,” he said. “But you exempt yourselves. 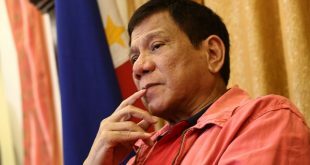 What is this?’” Duterte spoke at length to defend his anti-drugs campaign during a visit to a hospital in the northern Philippines that was aired on television. Duterte was elected in a landslide last year, after vowing on the campaign trail to eradicate illegal drugs in society by killing tens of thousands of people. Police have reported killing 2,250 drug suspects since Duterte assumed office, with 3,710 other people murdered by unknown suspects. Independent surveys show Duterte remains hugely popular with many Filipinos who are hoping his strongman style will fix the country’s crime and corruption woes. After largely keeping quiet over the drug war for months, Church leaders are now leading a campaign to have their flock denounce the killings. About 80 percent of Filipinos are Catholic, a legacy of the Philippines being a former Spanish colony. The Church played a key role in the ouster of dictator Ferdinand Marcos in 1986 and corruption-tainted president Joseph Estrada in 2001. Church leaders say they are not plotting to oust Duterte, rather to just stop the killings.